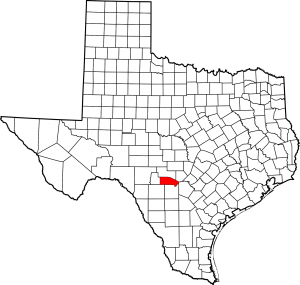 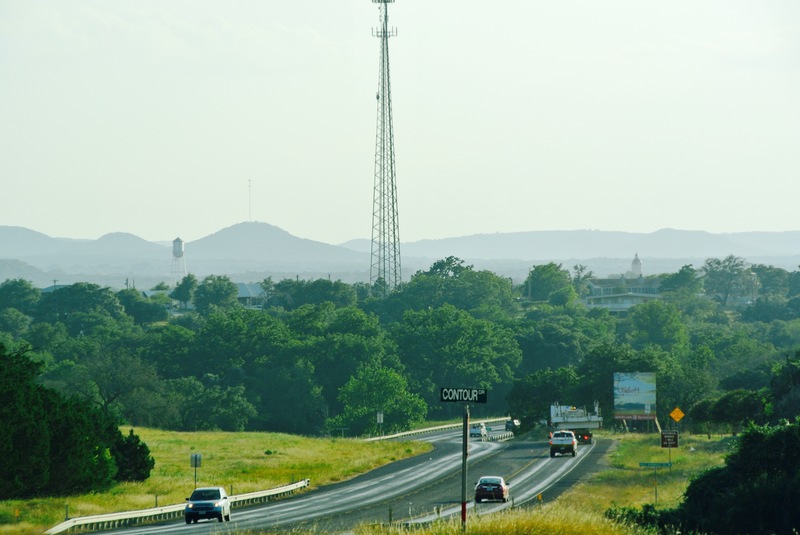 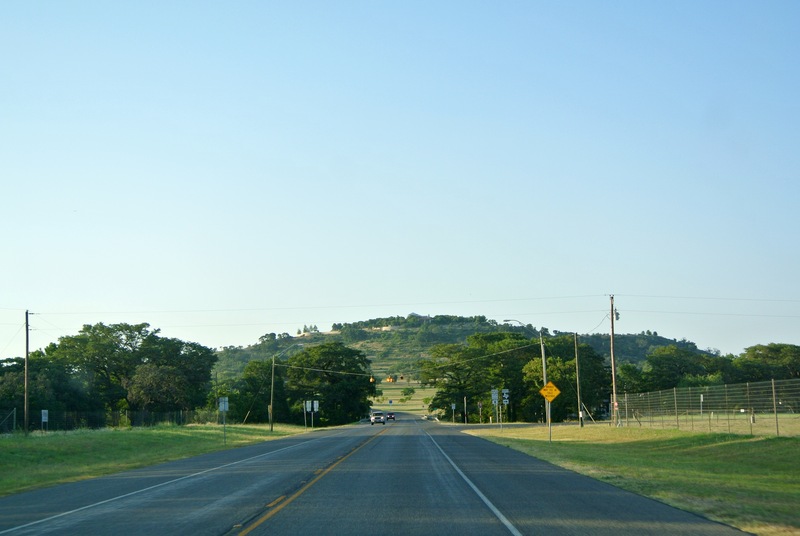 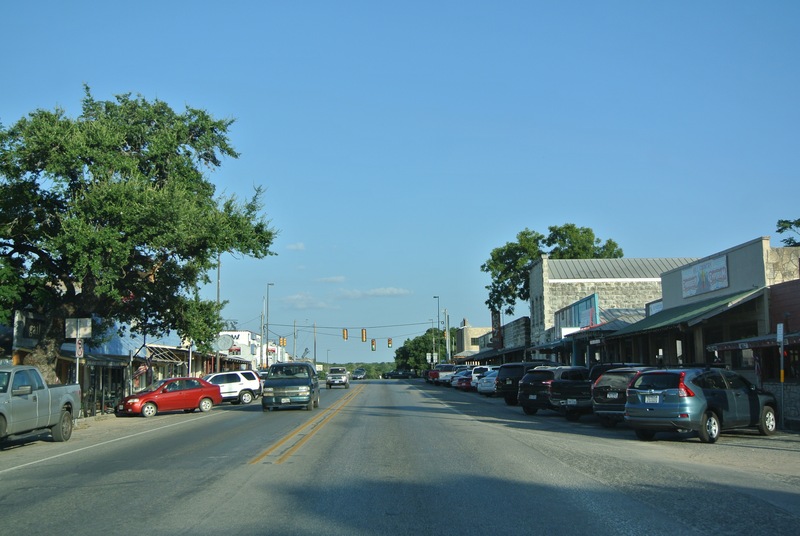 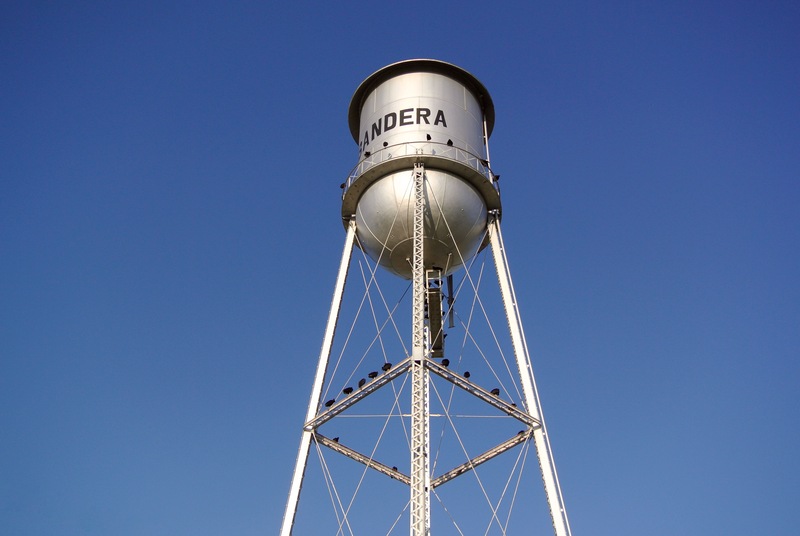 I was the guest of Bandera and Bandera County on July 25, 2015. 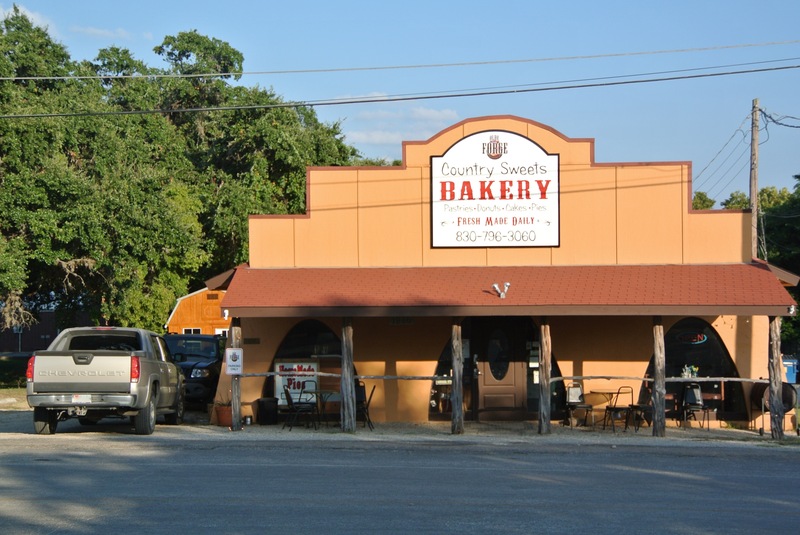 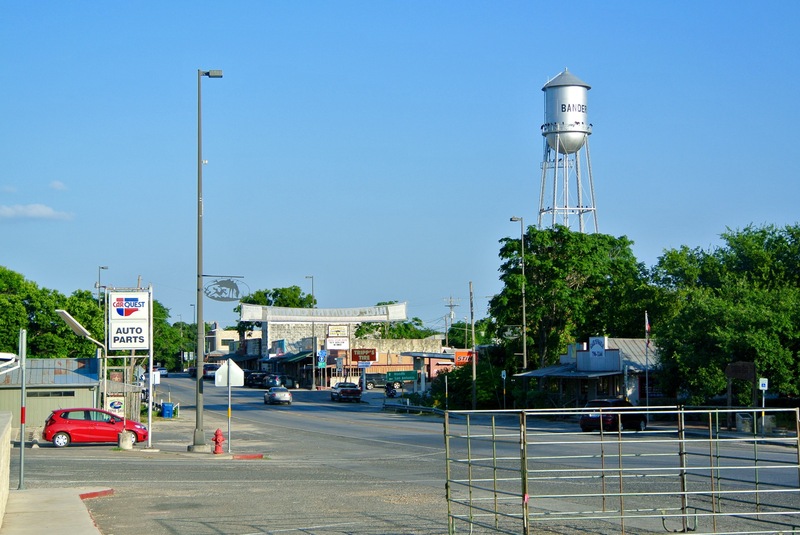 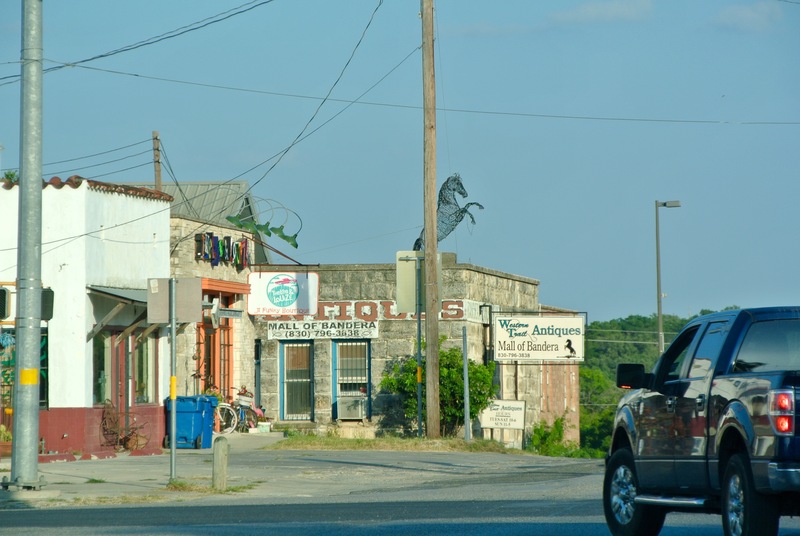 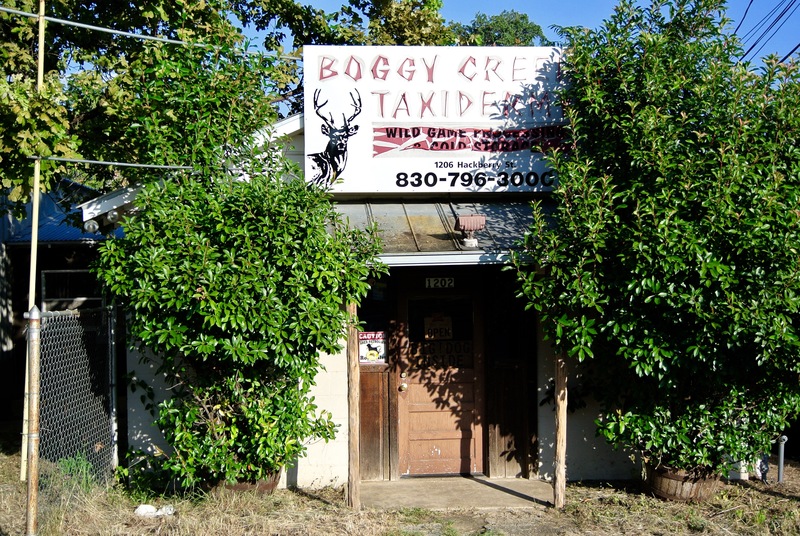 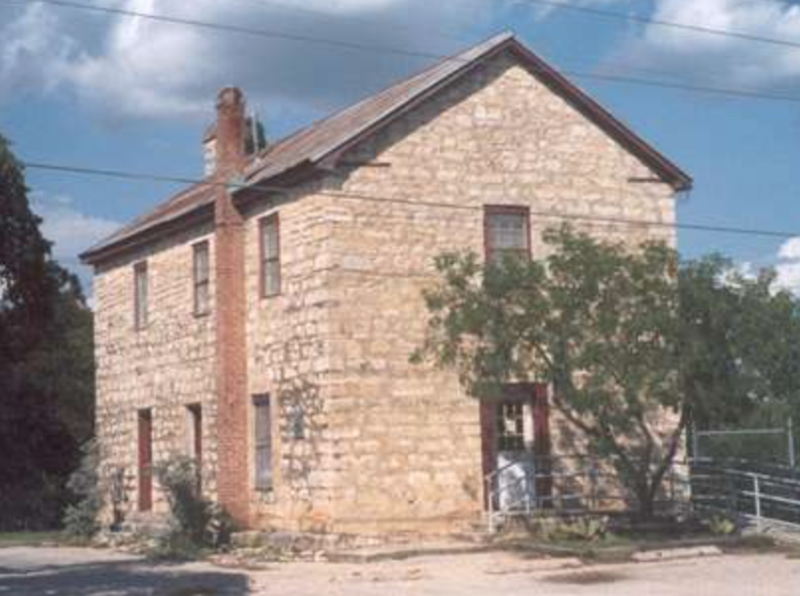 The building still stands in downtown Bandera, but I unfortunately didn’t know that at the time of my visit. 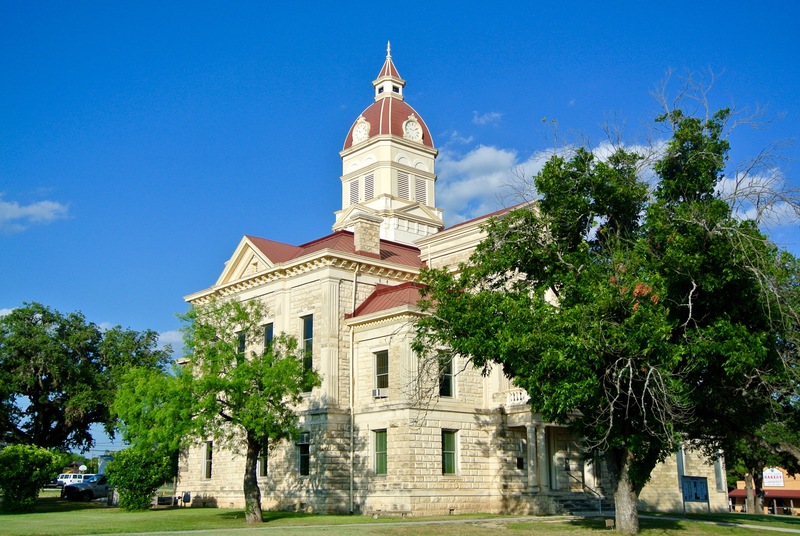 B.F. Trester, Jr provided the architectural design for this courthouse, modeled in a local take on the Renaissance Revival style known as the Spanish Renaissance Revival. 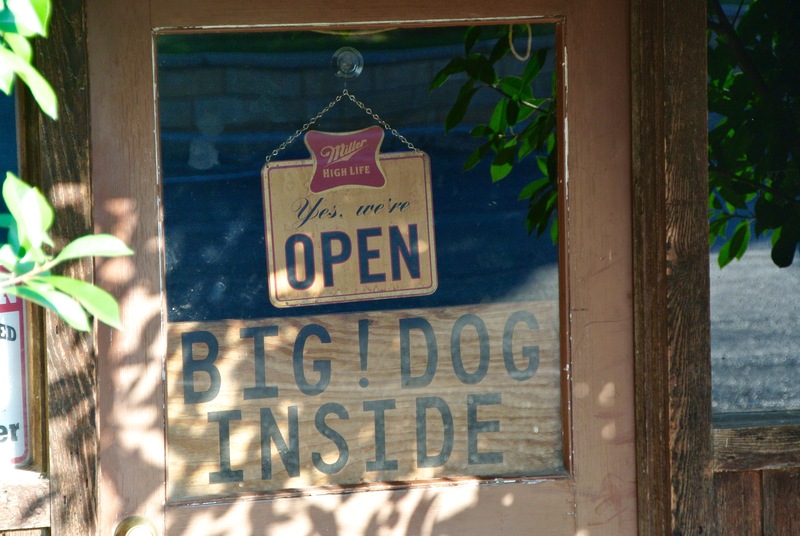 It’s also said that he drew up those plans for a whopping five dollars. 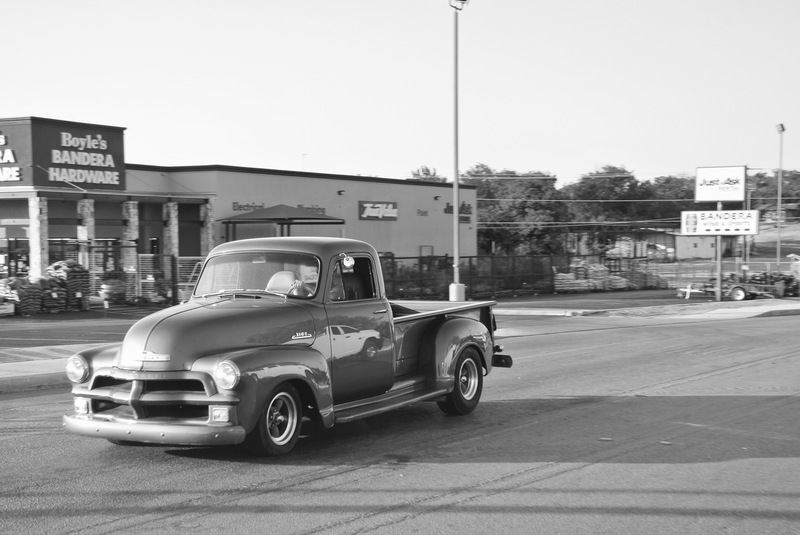 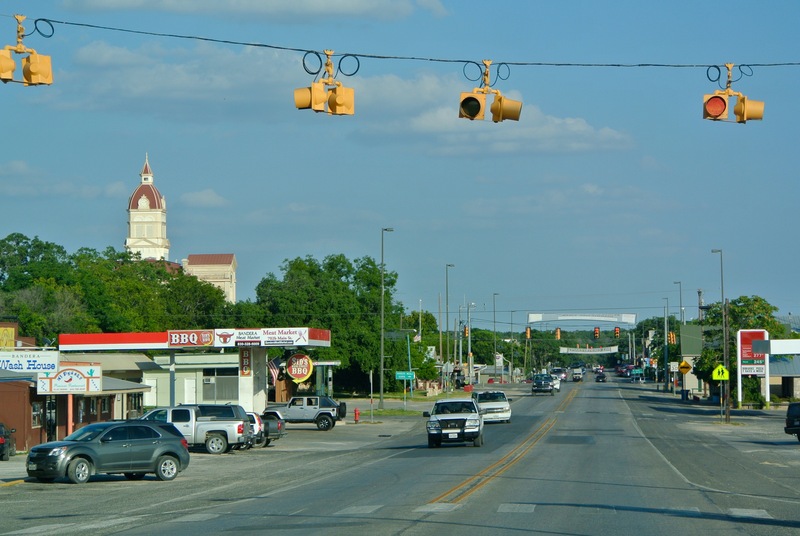 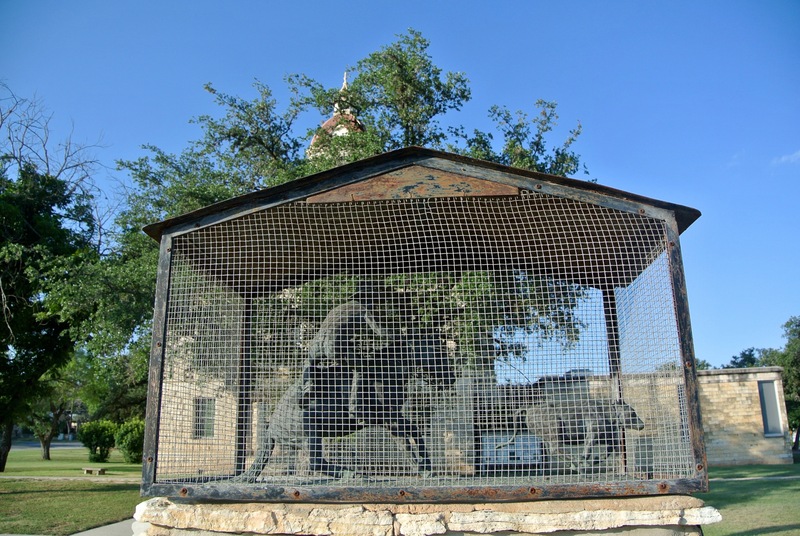 Ed Braden & Sons of San Antonio and local contractor, E. Huffmeyer of Bandera aided in its construction. 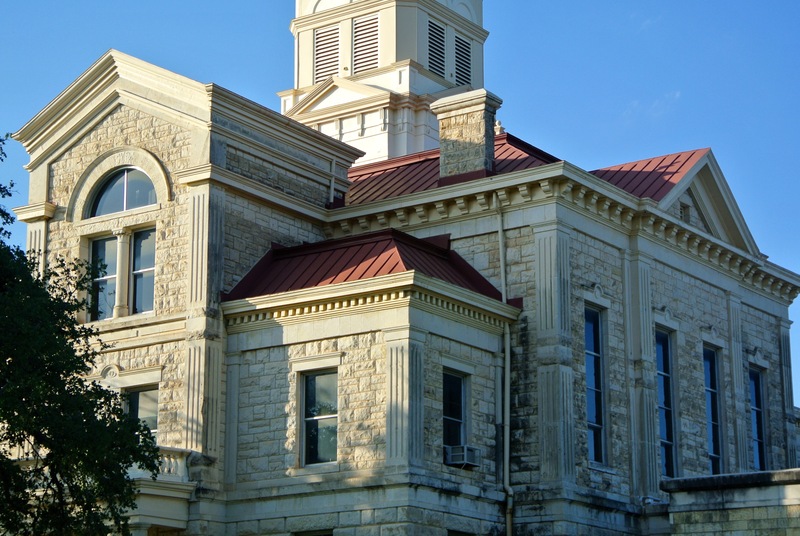 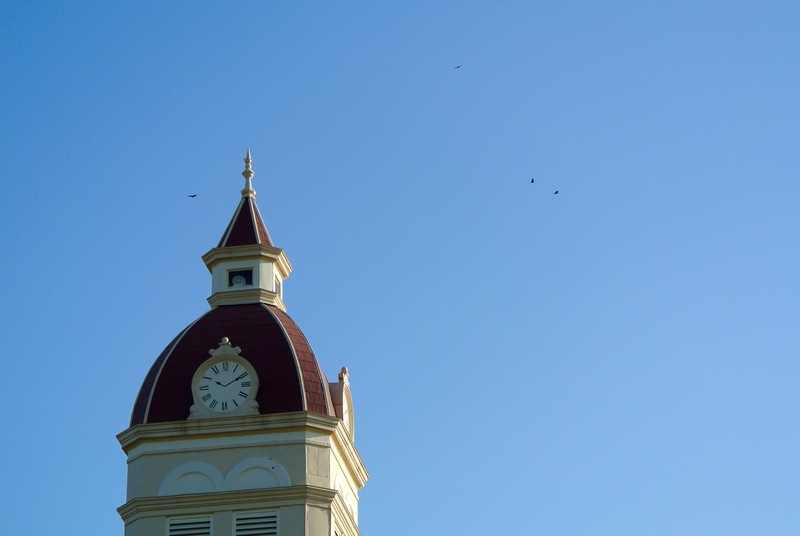 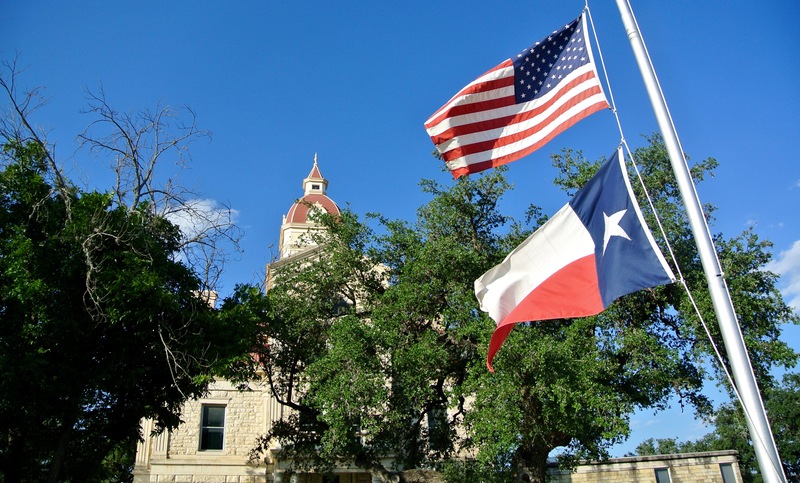 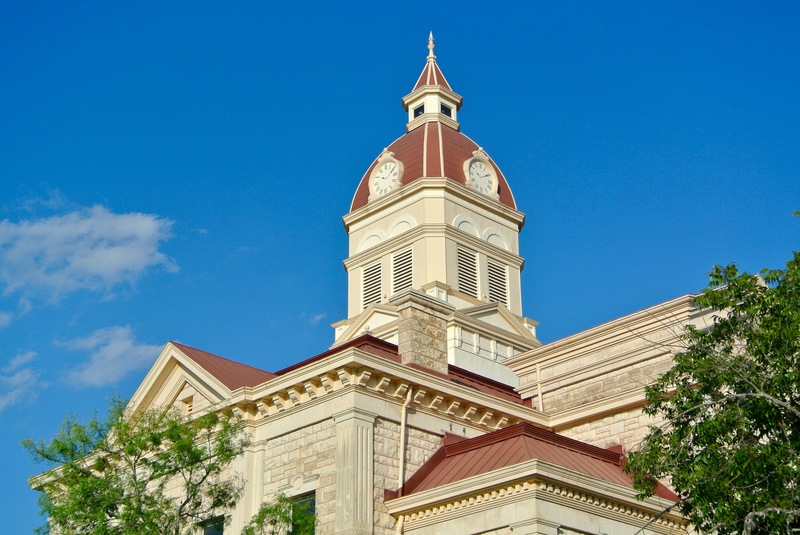 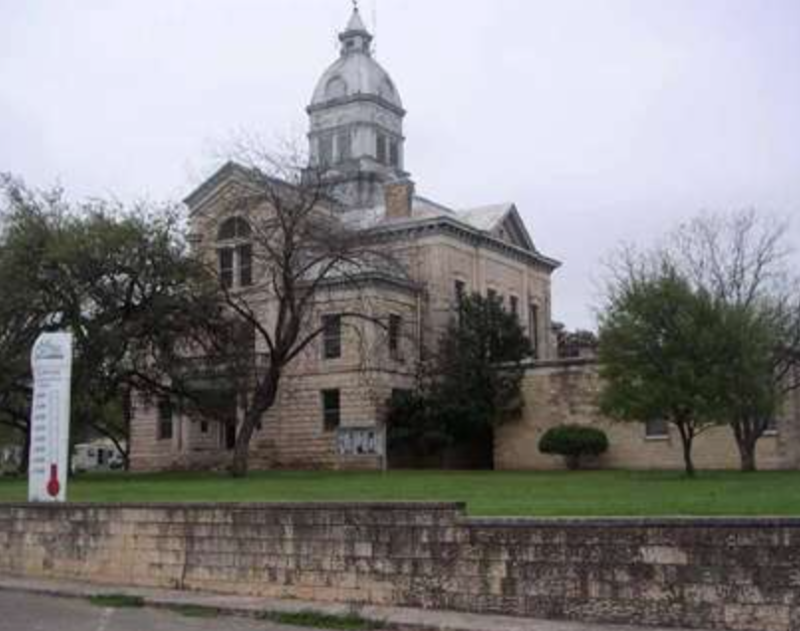 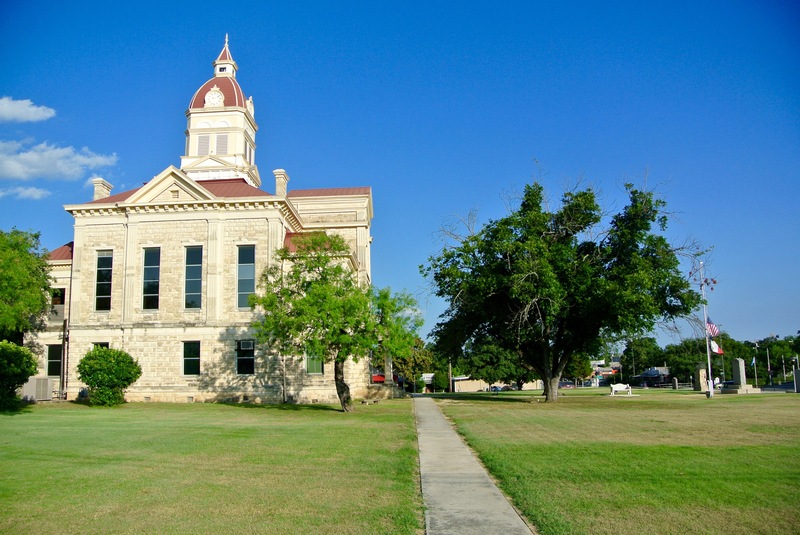 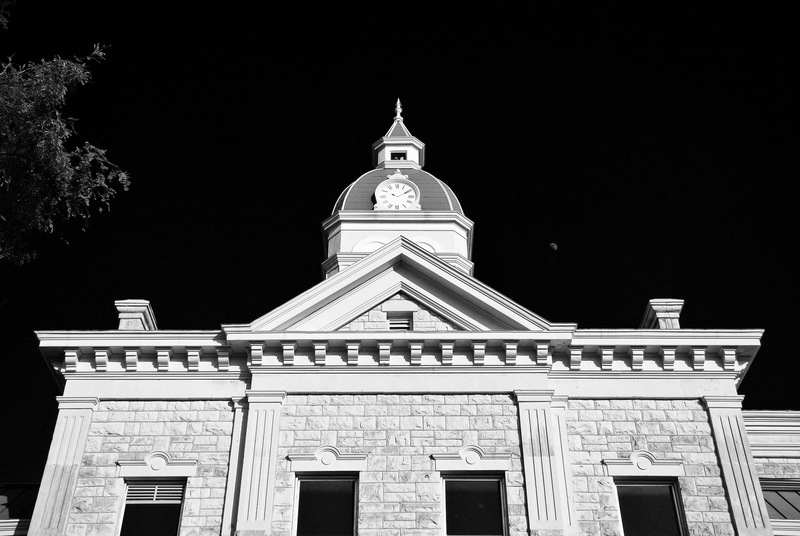 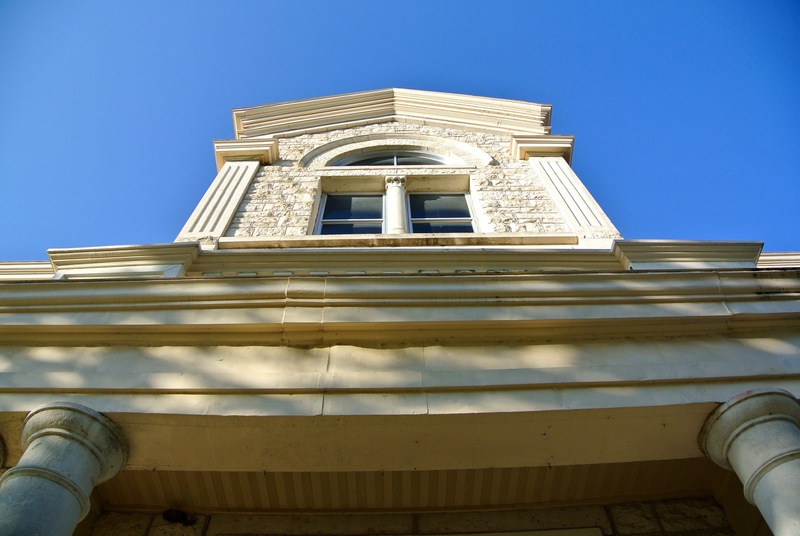 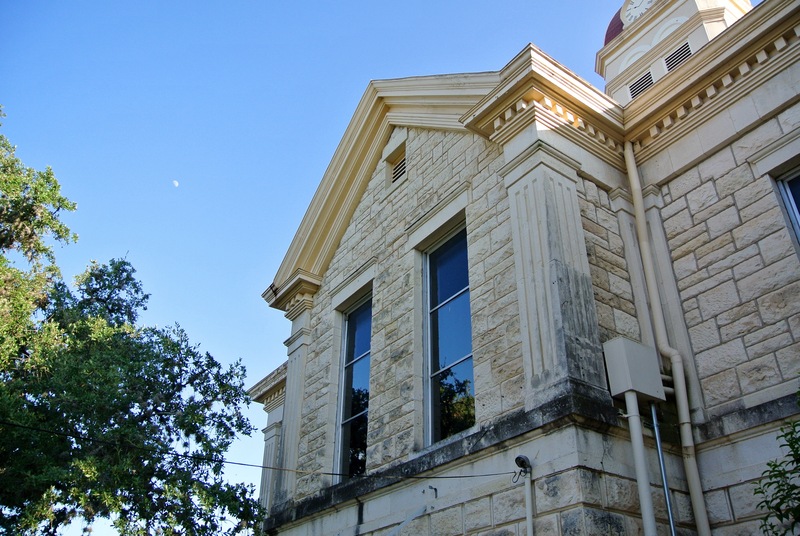 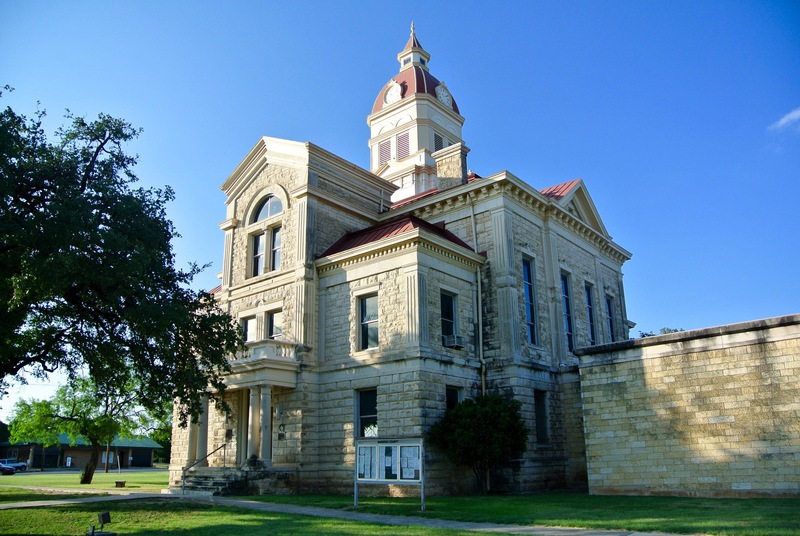 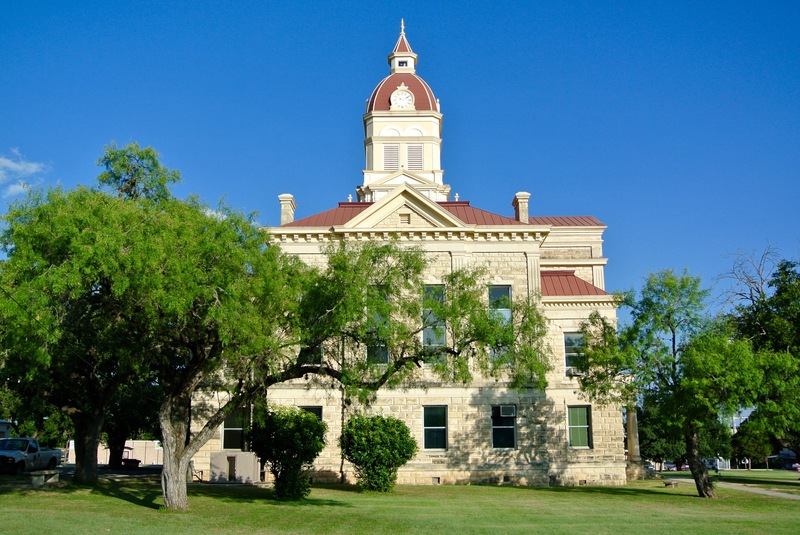 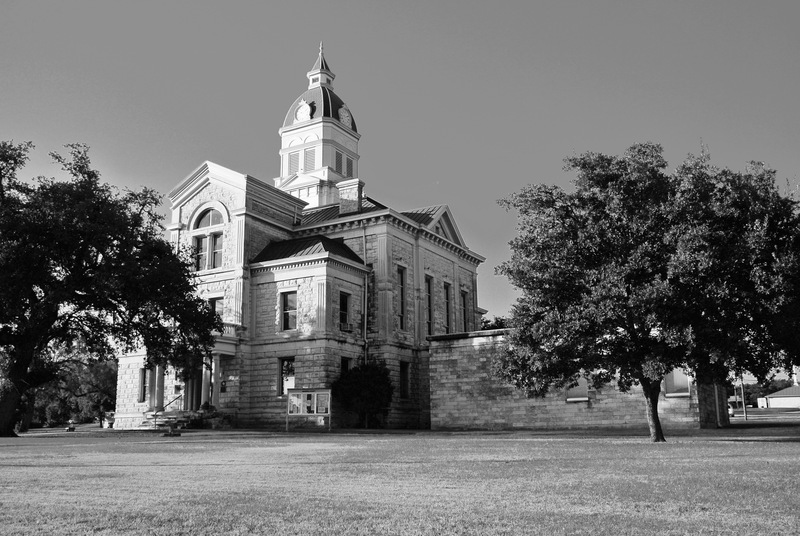 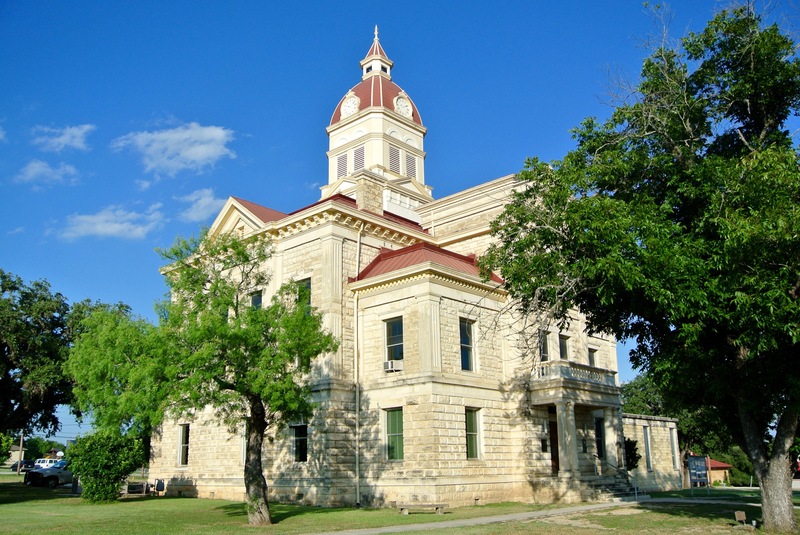 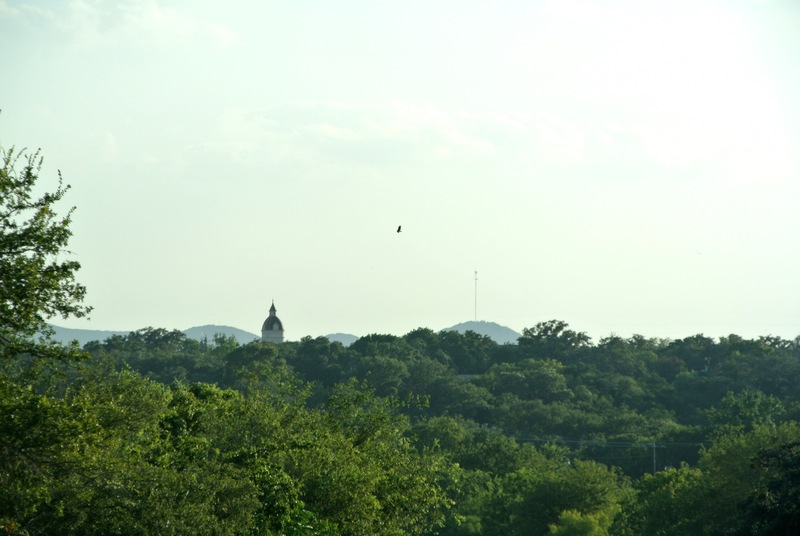 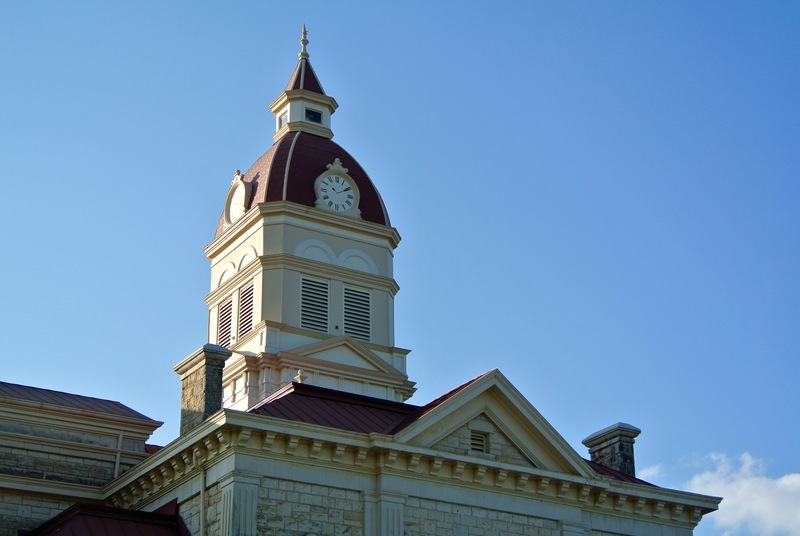 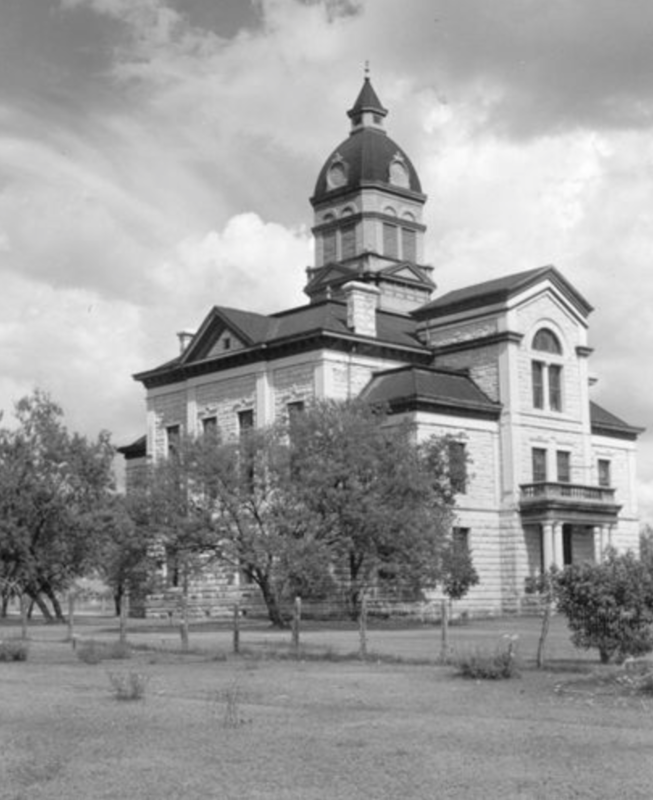 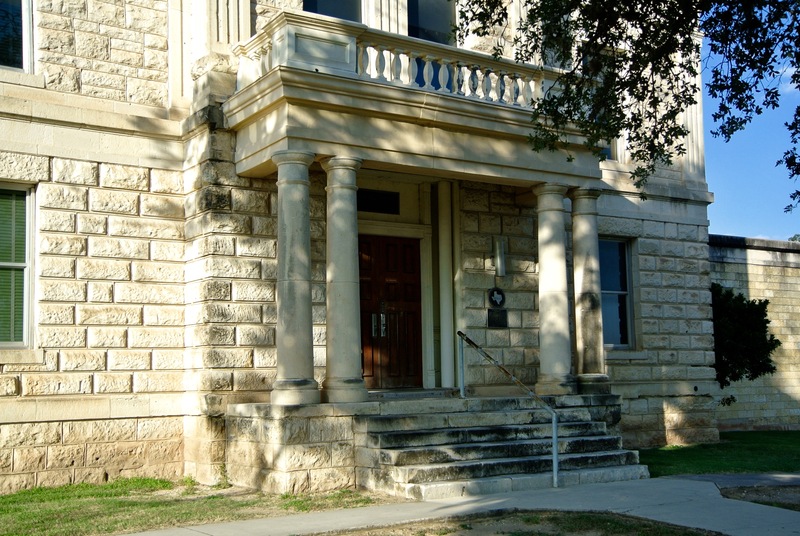 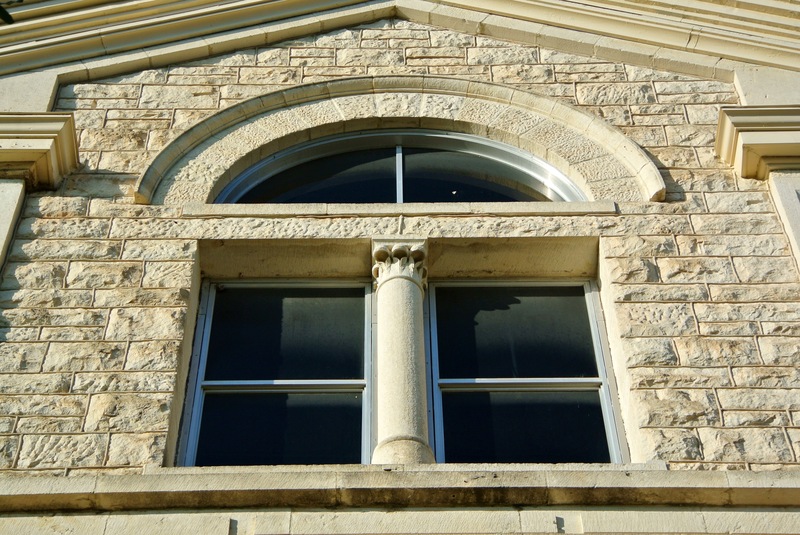 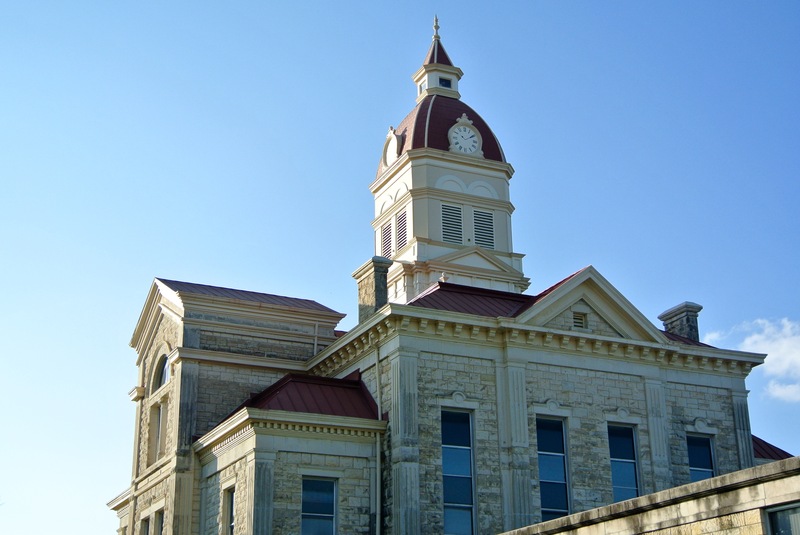 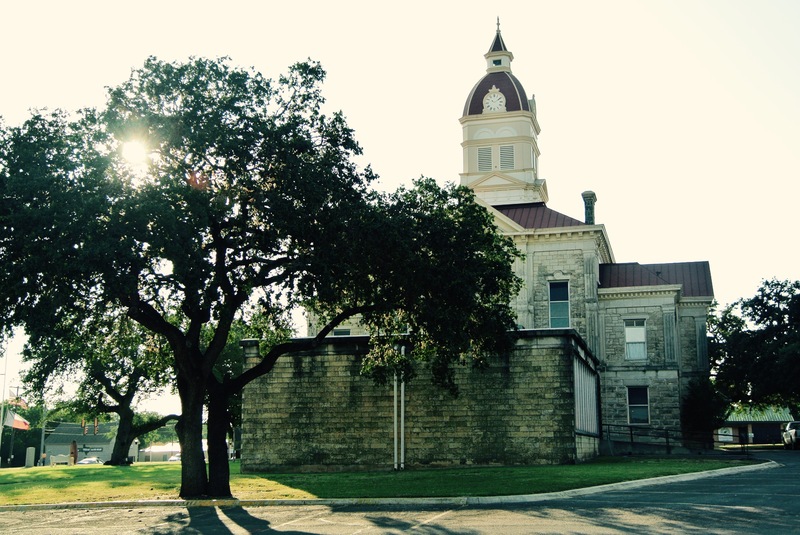 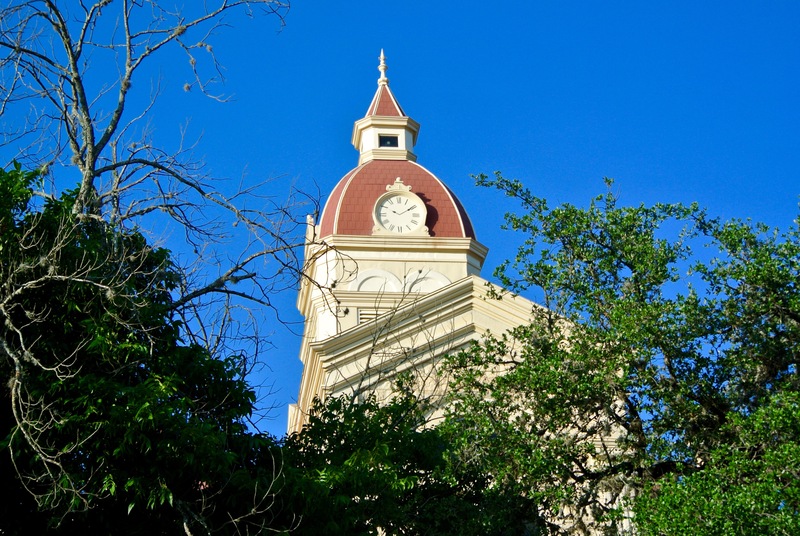 This ornate courthouse is made of limestone quarried from the Bandera County hills, and while it stands as proud and tall as any of those works of J. Riely Gordon or Wesley C. Dodson, it doesn’t come from a firm that practiced state-wide. 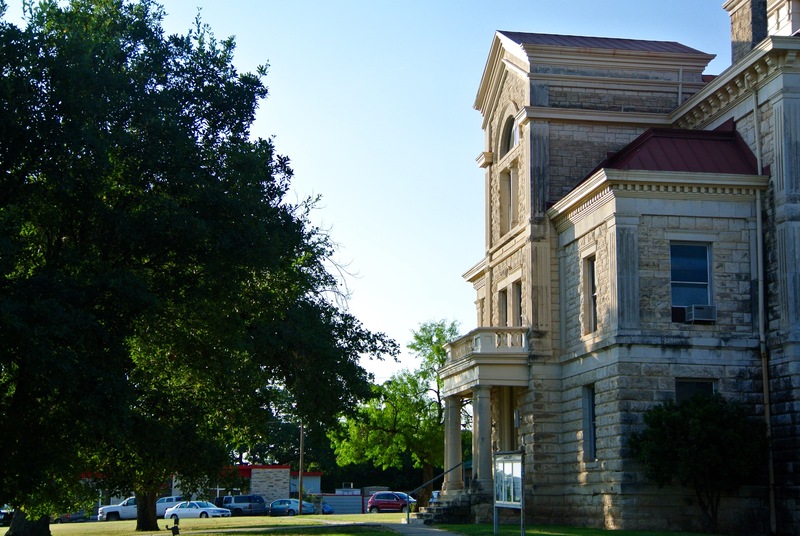 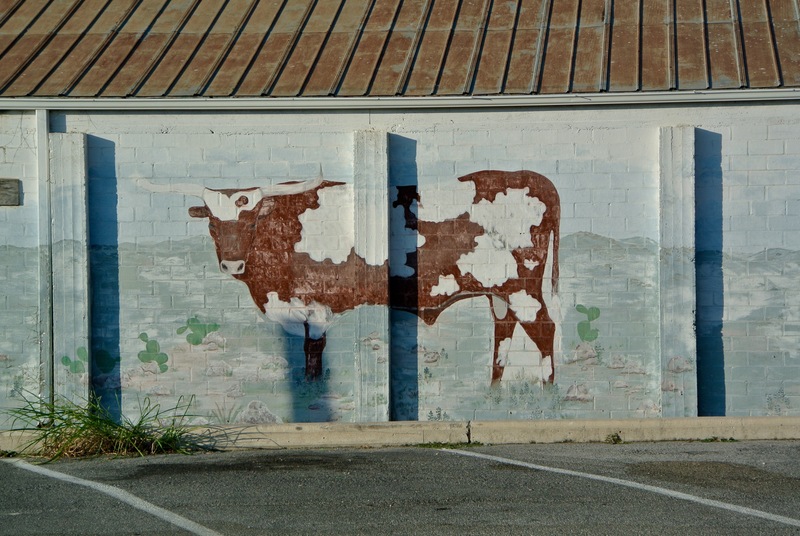 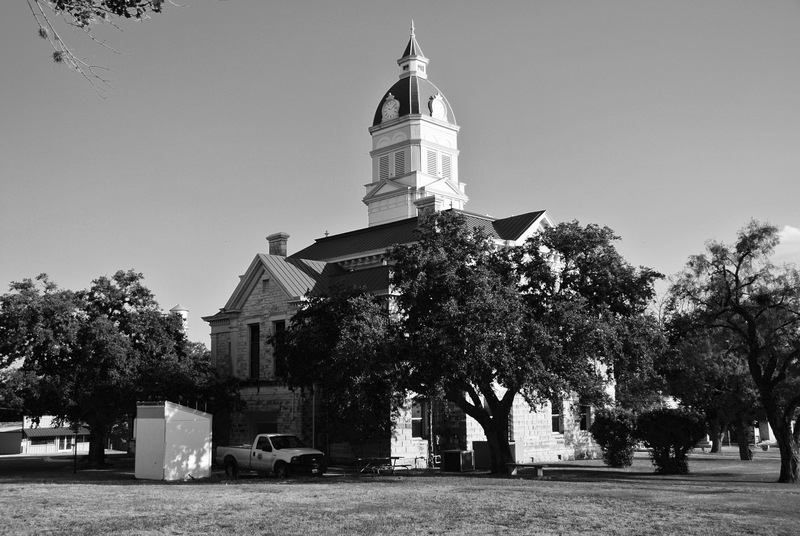 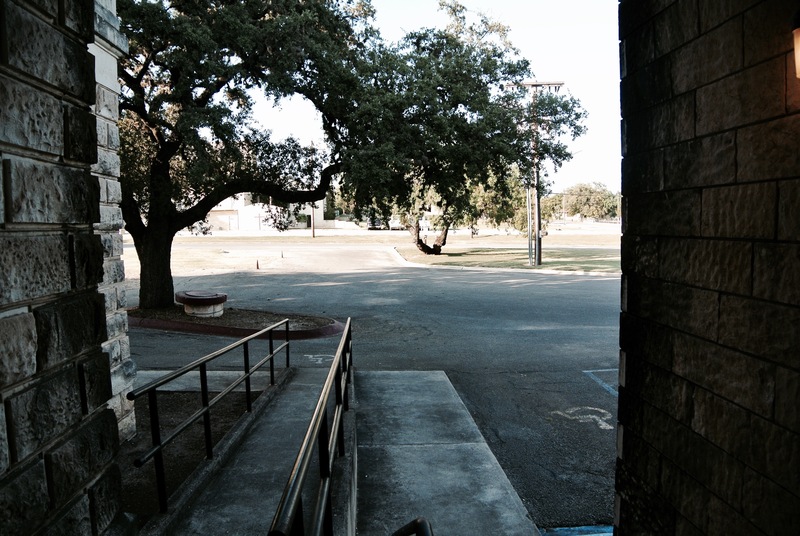 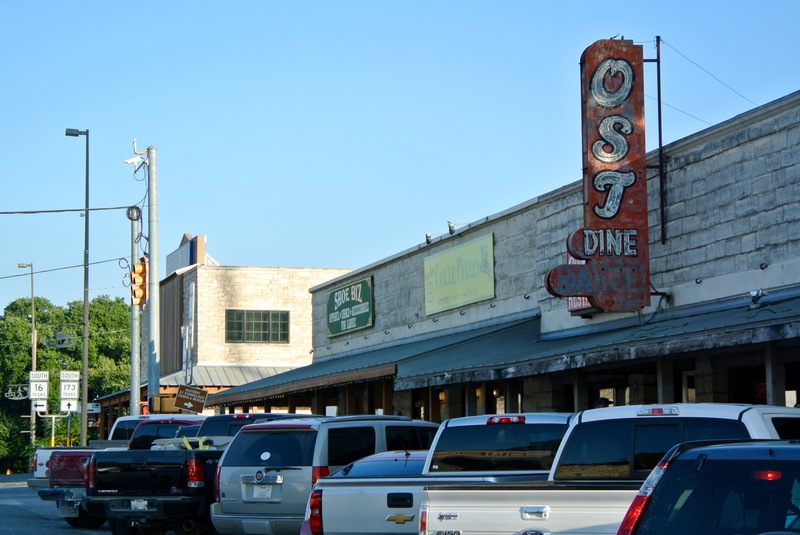 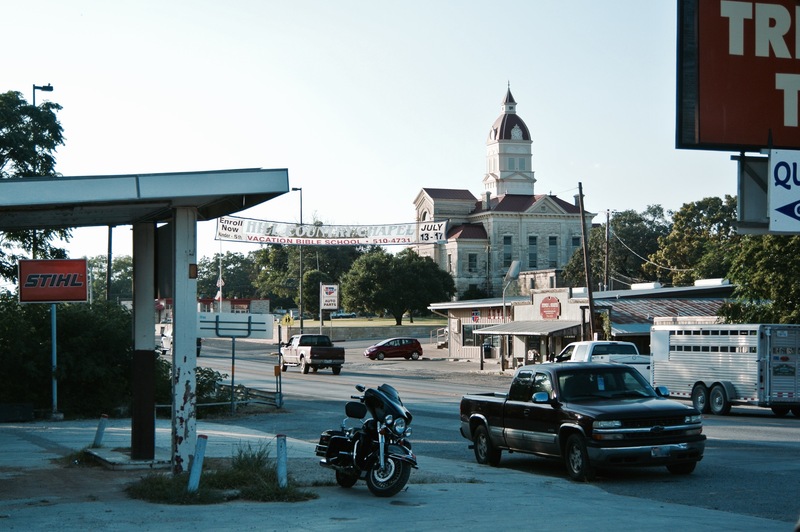 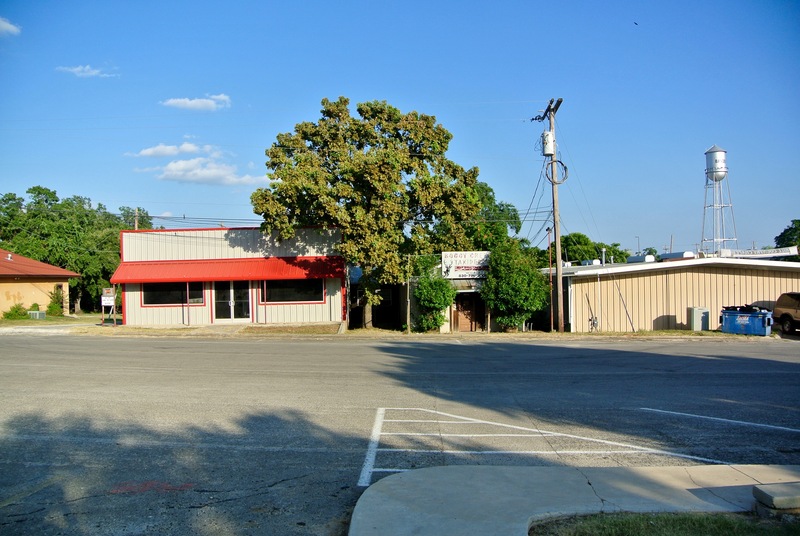 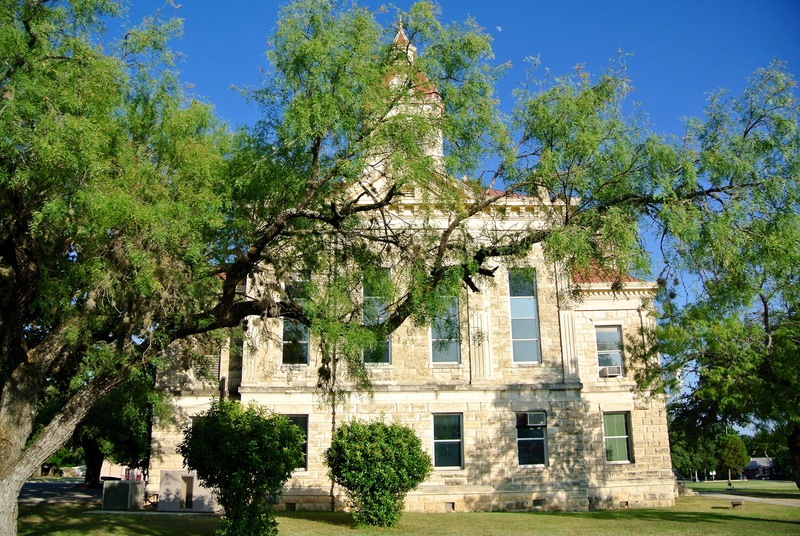 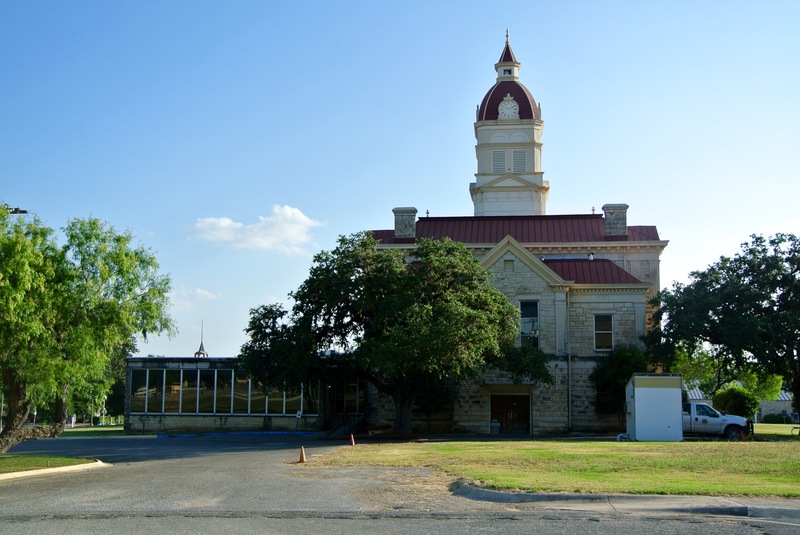 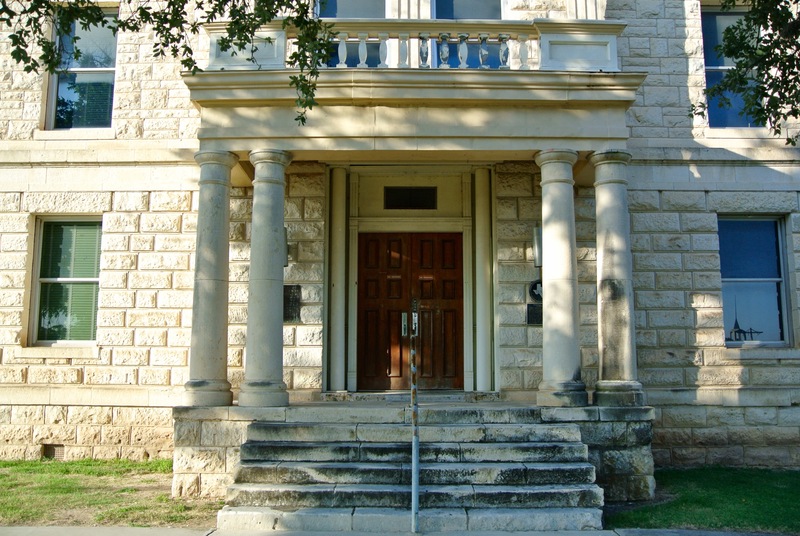 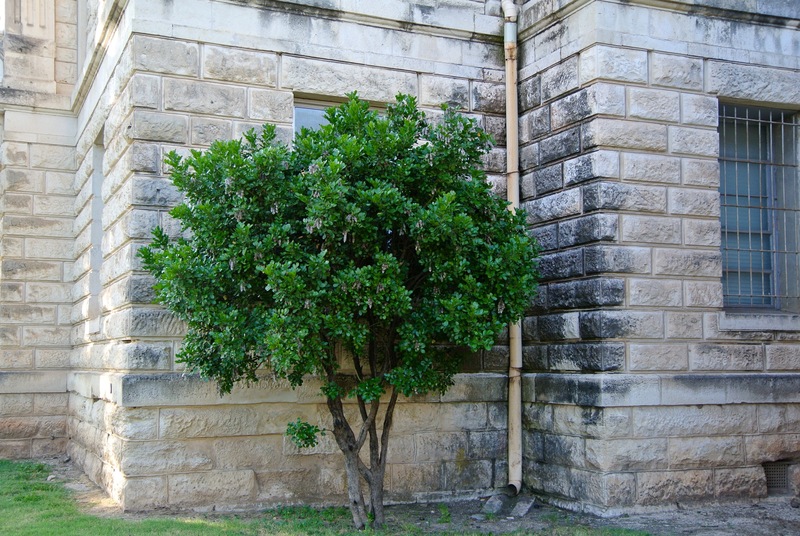 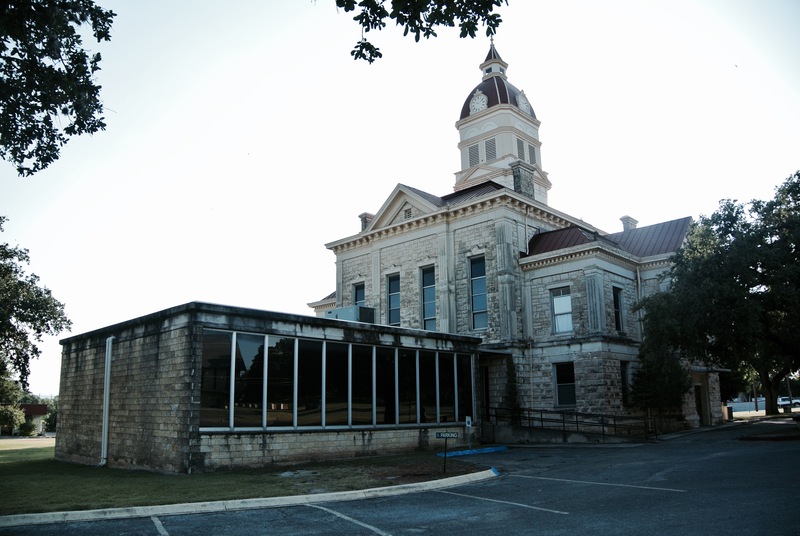 Trester provided the plans for only one Texas courthouse, and this was it. 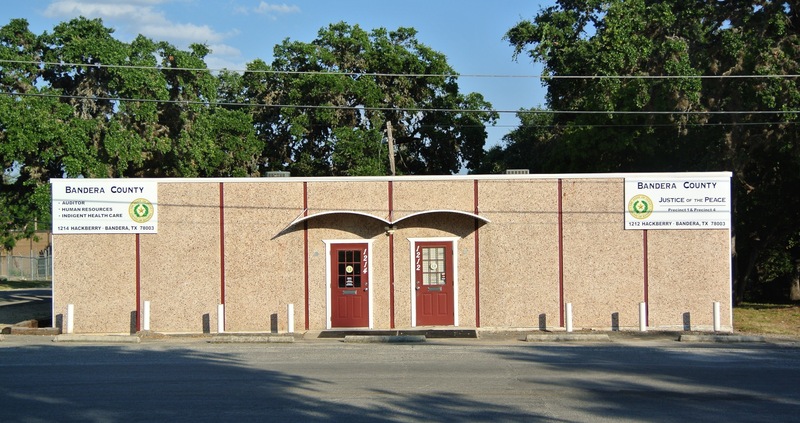 1961 saw the addition of a one-story office space addition around the back of the building, and the roof was renovated from 1979-1980. 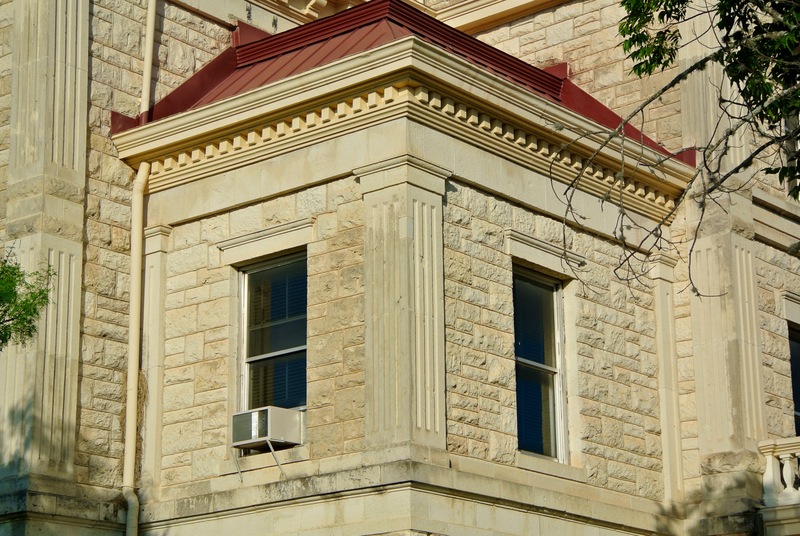 Over the years, like many courthouses, this one fell into a state of semi-disrepair. 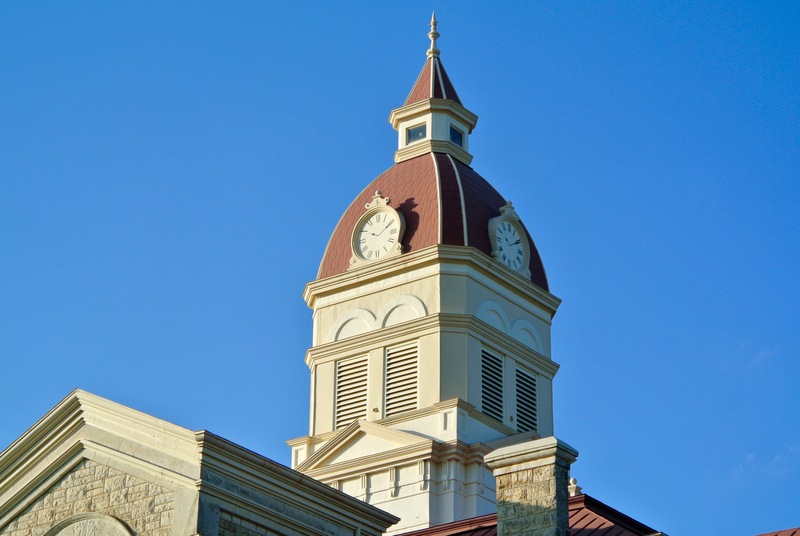 At some point in its history, perhaps during the repairs of ’79-’80, the original roof, tower, dome, and cupola were painted over and “metal-lized” in a drastic change from its original 1890 look. 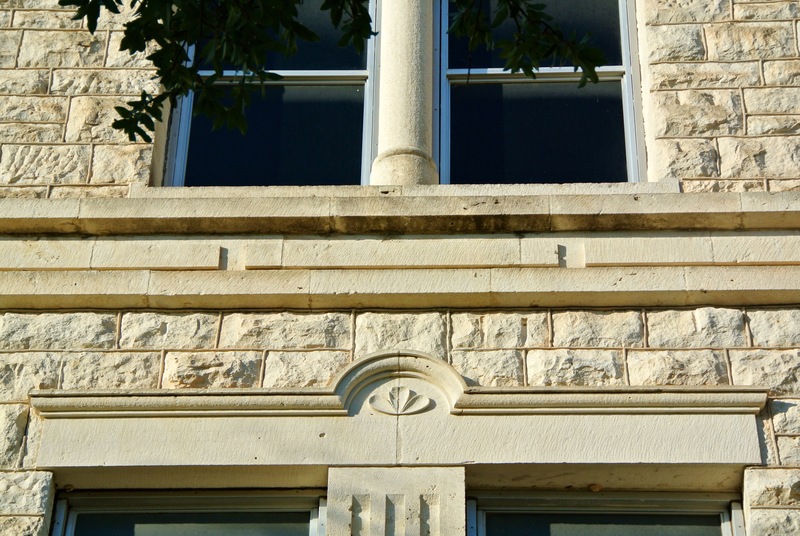 You can see this above. 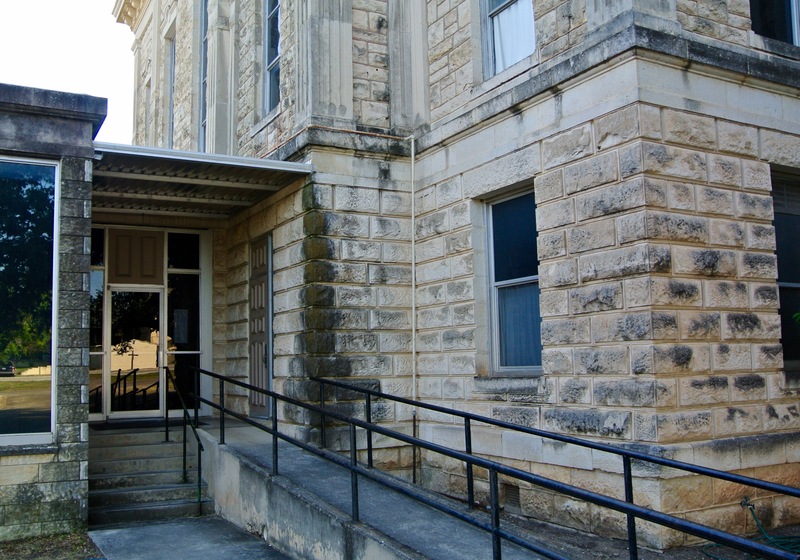 The rest of the building has of yet, not been touched by the historical commission. 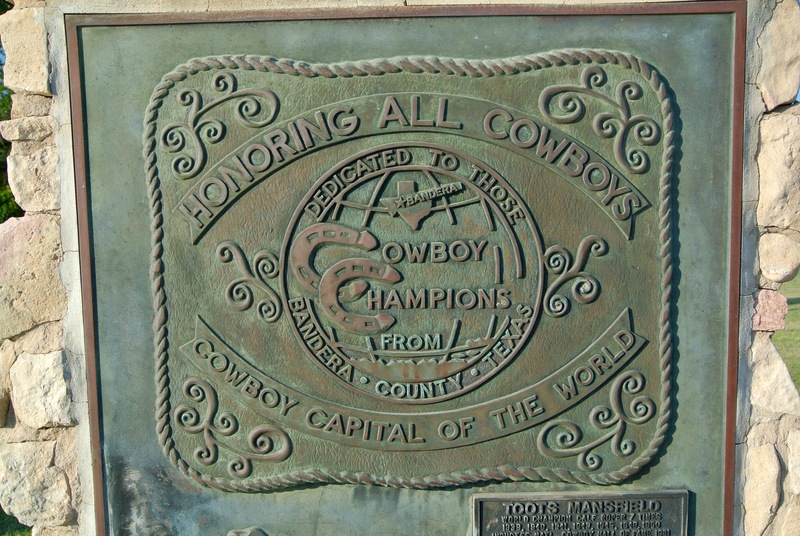 There has not yet been a rededication ceremony (as of the THC’s 2015 data). 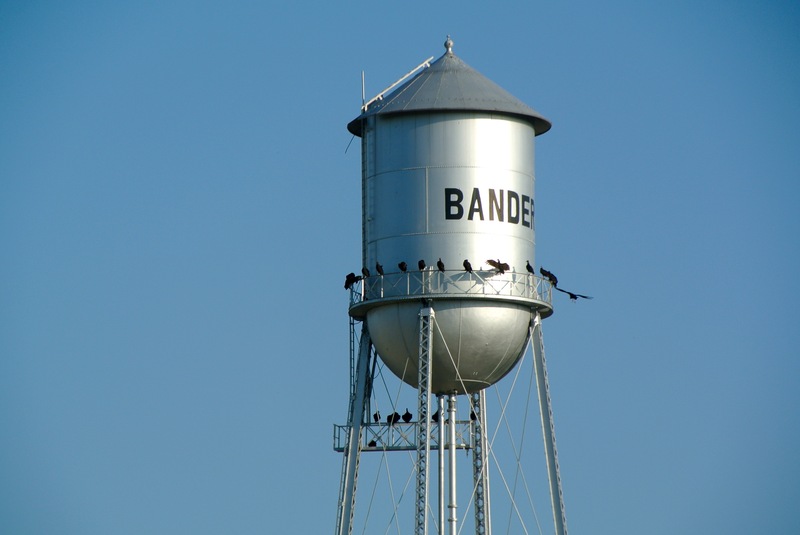 “Bandera” means flag, in Spanish. 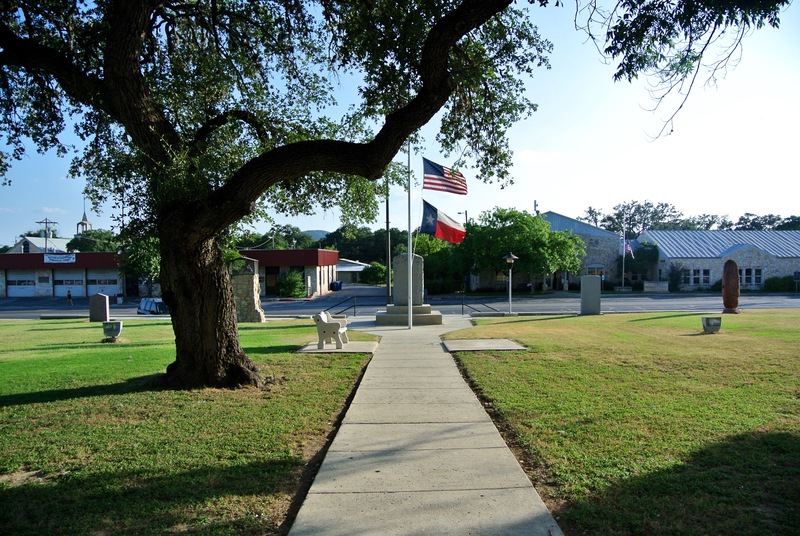 The courthouse green encompasses a small rise just northeast of the highway. 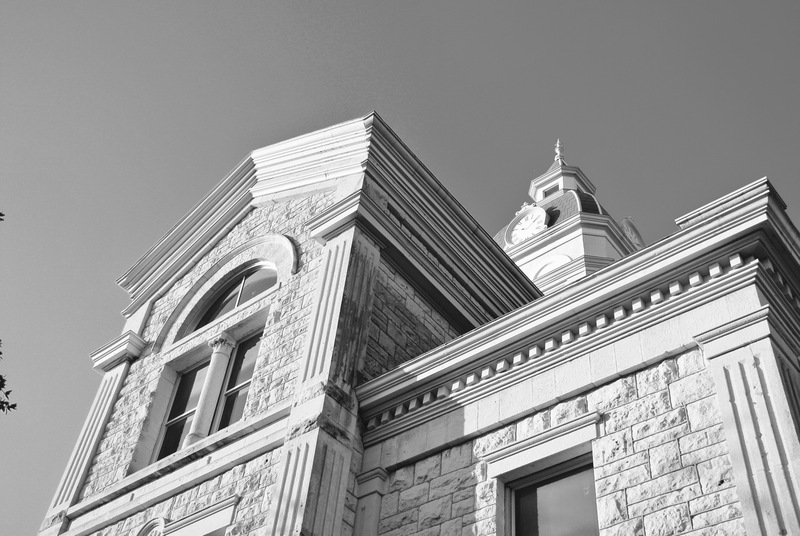 The small addition from the sixties can’t even compete with the majesty of the larger structure. 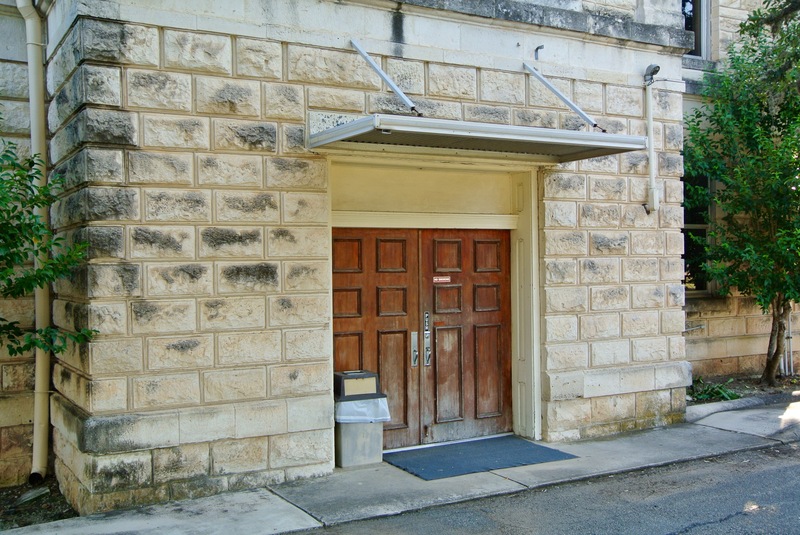 There is also this second set of rear doors, built solely into the original courthouse. 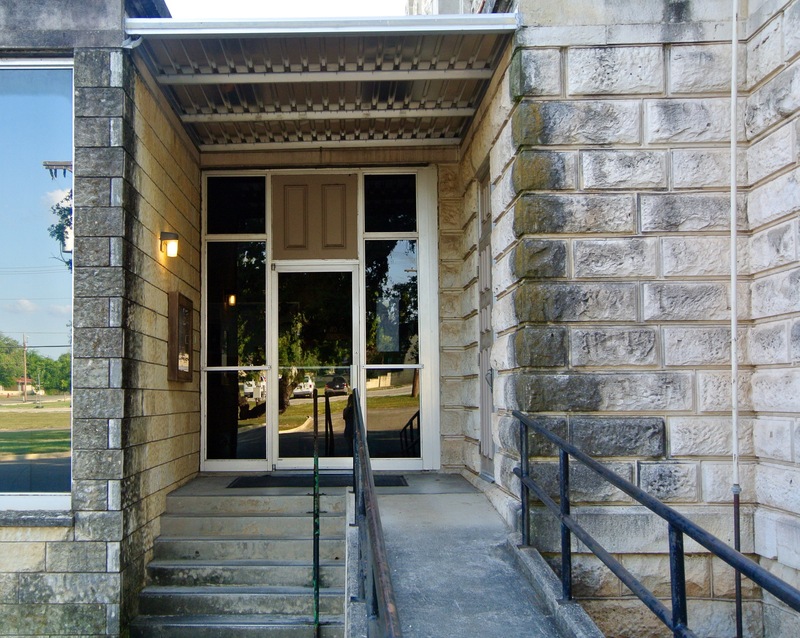 The front entrance is much more grand. 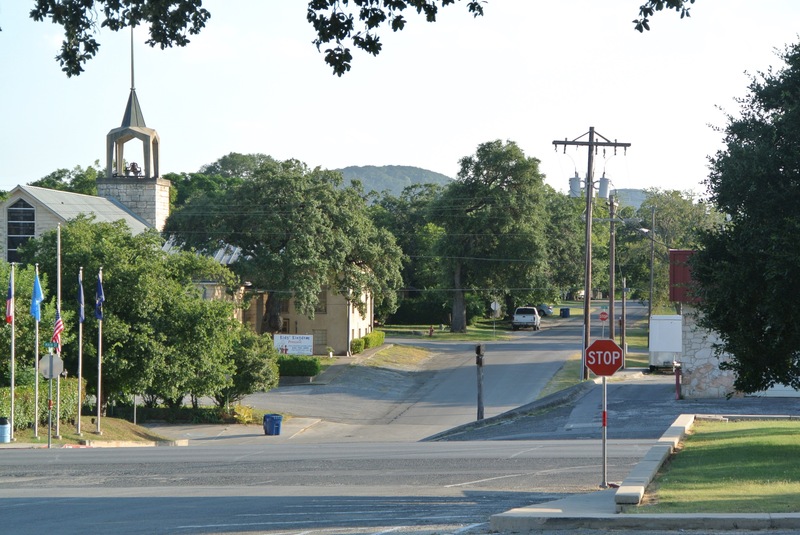 Here’s Main Street from the front doors. 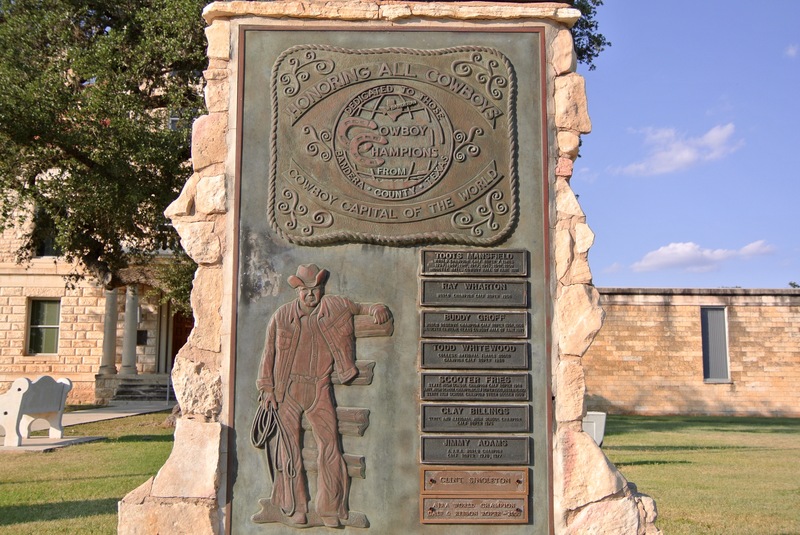 Several memorials to the city’s legacy as “the Cowboy Capital of the World” grace the southwestern side of the courthouse lawn.